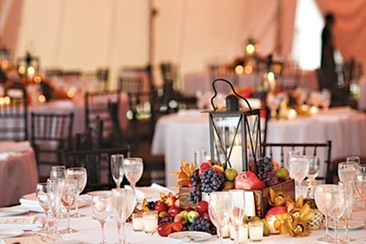 Choosing the right color theme for your wedding is not an easy task. There are so many combinations out there, but if you really want a stunning wedding, go for red, white and black. Red stands for passion, love and desire, black brings sophistication to the decorations, and white makes the combination peaceful and angelic. If that sounds right to you, read on to find the most beautiful red, white and black table centerpieces which you'll surely love! 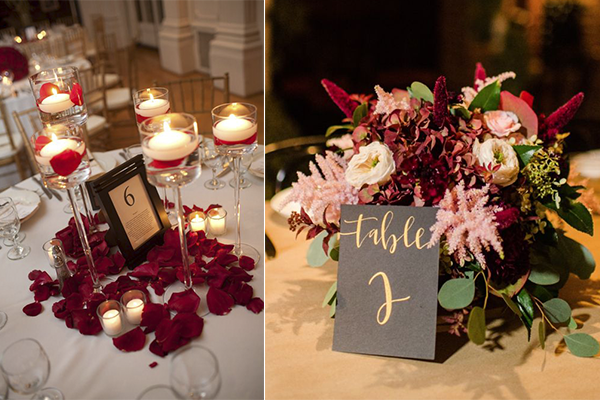 Check the picture on the left, with candles, red petals and the number of the table in a simple black frame, the centerpieces would look extremely romantic and sophisticated on an indoor wedding. 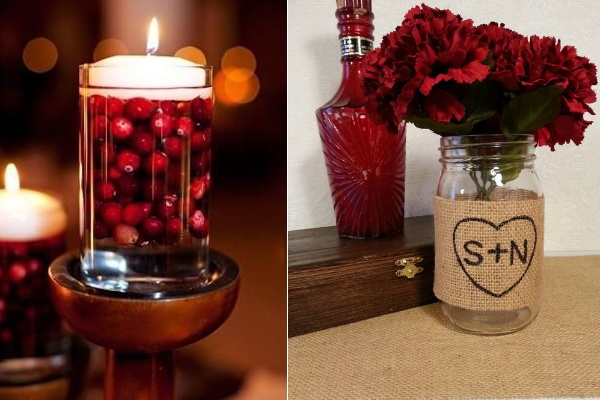 And the one on the right, with flowers in red and white and a simple black sign, looks vintage and rustic and it would be an excellent centerpiece idea for an outdoor wedding. 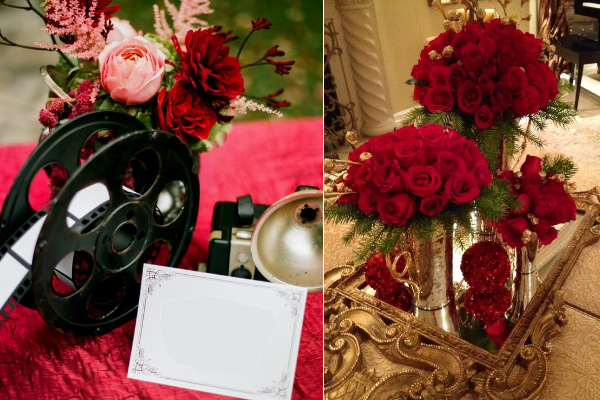 When talking about red, your first thought on decoration is probably a bunch of gorgeous red roses. And you are right, roses make everything looks more elegant. Place red roses with white cups on a black table or simply place them on black and white tablecloth, they look stunning together! 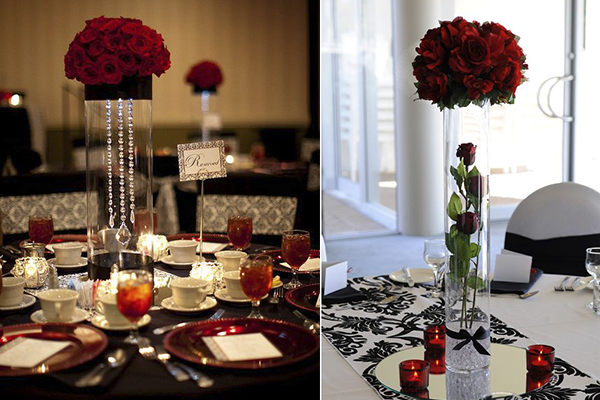 Another idea for a red, white and black table centerpieces: the one on the left. The black lantern looks really fancy. 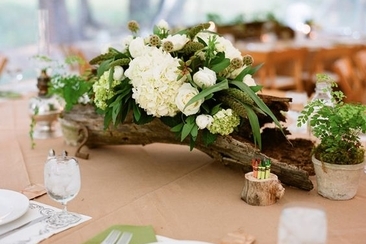 Add a little bit of green with a bunch of plants and a few white flowers, the table will look bright and rustic. 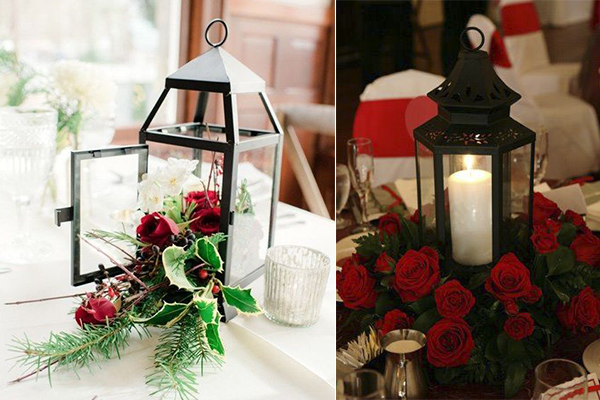 Put a candle inside the lantern and place a lot of roses around it to create a romantic feel. 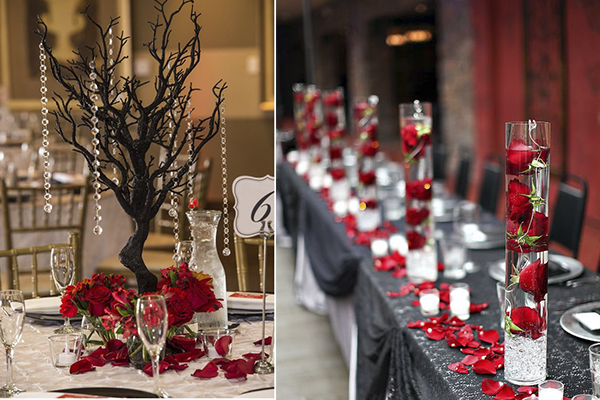 The black tree with crystal and roses in the left picture is very sophisticated. 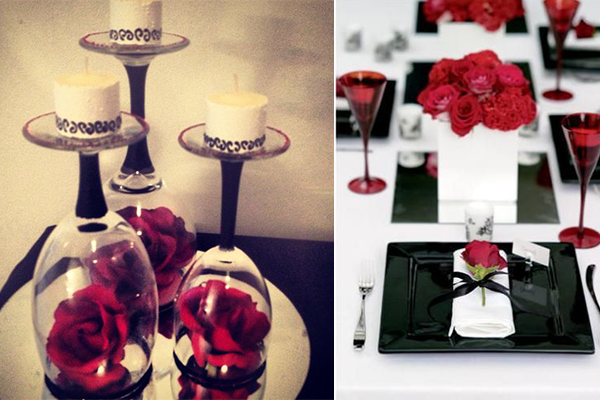 For long tables, put red roses in glasses filled with water, and use black tablecloth to complete the theme. Wine glasses upside down, with red roses inside and candles on the top, it looks cool, right? How about black plates, with a red rose on your white napkin, simply stunning. 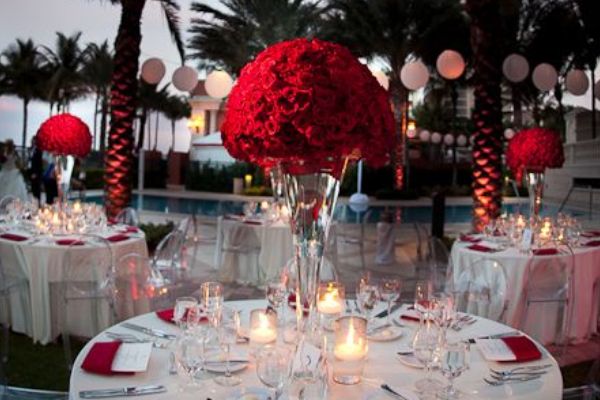 With the small details, you can really make the most beautiful red, white and black table centerpieces. If you are done with red roses and all that expensive look of it, what about a table centerpiece with red fruits? Like this one on the left. Or you can try some other red flowers, they will look equally beautiful as roses. Is there anything more perfect than this movie themed centerpiece? 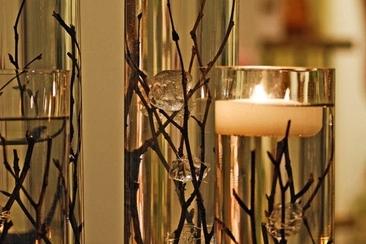 Try to put your table centerpieces on a mirror, you will see how beautiful it looks. Want something Gothic? 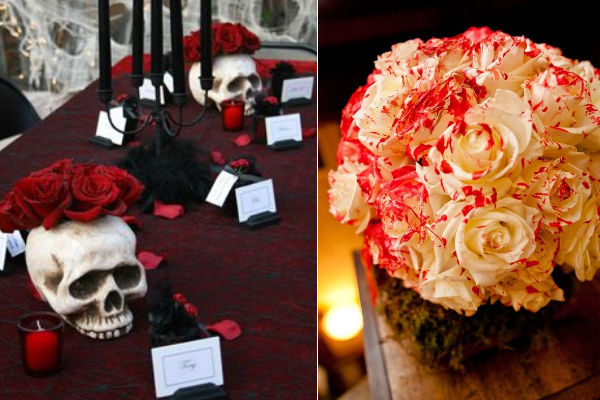 Put skulls with red roses and black candlestick holders, it has to be one of the most unique red, white and black table centerpieces. 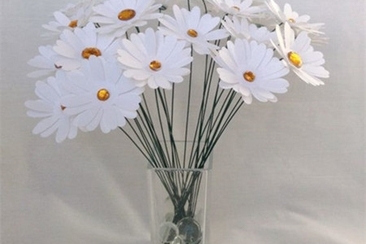 Or you can go further – have some "bloody flowers". And if you are having a holiday wedding? 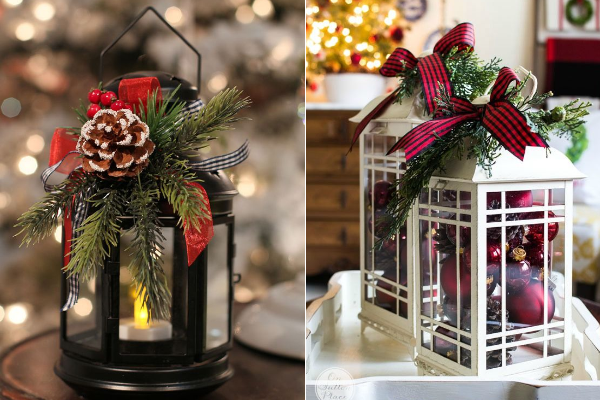 Decorate your wedding with Christmas ornaments, from Christmas trees balls, to pines and fake snow. Everything will look dreamy. 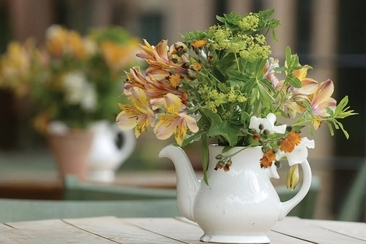 Are you looking for some nice inspirations for wedding centerpieces? 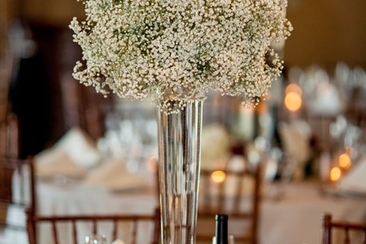 Here are some of the best floral and non-floral unique wedding centerpieces to give you inspirations.